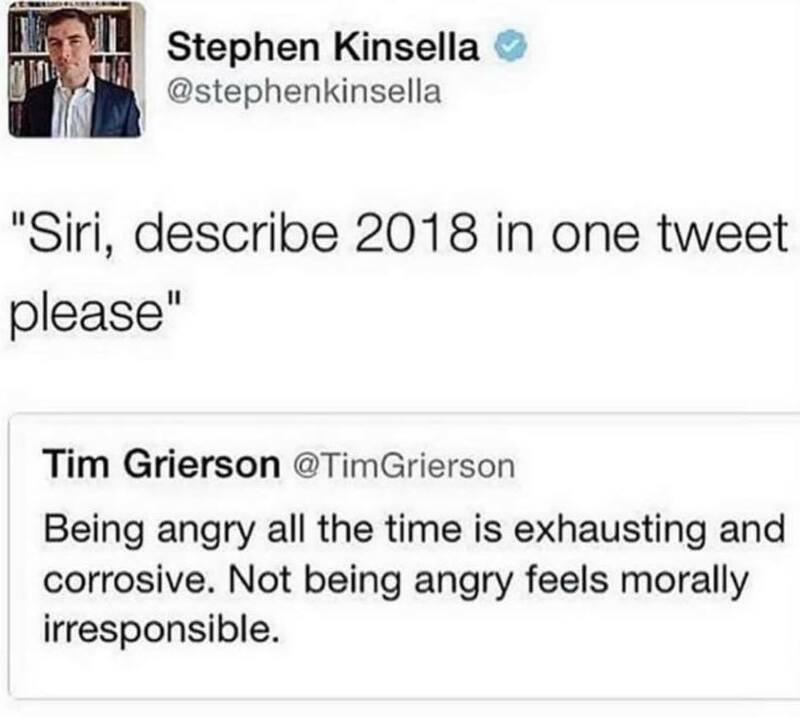 A meme is circulating the web in which economist Stephen Kinsella asks ‘Siri, describe 2018 in one tweet’ and below we quite aptly read the following: “being angry all the time is exhausting and corrosive. Not being angry feels morally irresponsible”. This sentiment of toxic outrage and guilt-inducing non-outrage has certainly permeated the many social movements we have been involved in resourcing throughout this year. Last December, we were awarded the Nelson Mandela-Graça Machel Innovation Award for Brave Philanthropy by the CIVICUS Alliance. Gro Harlem Brundtland, the former Prime Minister of Norway, upon announcing the award commended us, “for providing security, resources and deep partnership to empower civil society organisations to do their courageous work, and for (our) willingness to walk together with activists”. At the same time I had stated in a press release that, “even though we are not big supporters of ‘championing’ culture, this award will hopefully spotlight the importance of funding activism as well as out-of-the-box thinking. Our badass grantees and friends are getting a bigger platform to showcase their work through this award”. Even though some more radical funders are emerging such as NoVo Foundation, LUSH, Edge Fund and FundAction, most mainstream grantmaking is still quite traditional and tepid. So we think it is important to look over this past year’s highlights so as to sharpen our guerrilla toolkit in preparation for 2019. 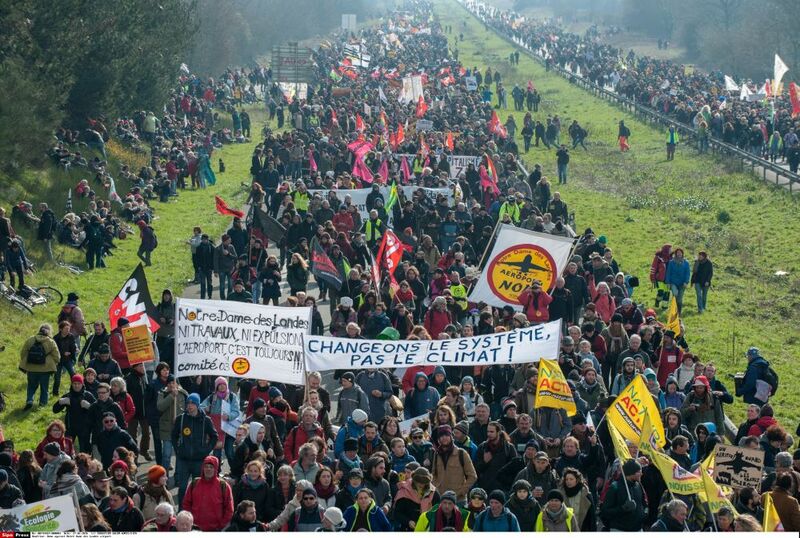 This year had bittersweet movement moments, such as the victory of the autonomous zone community in Notre-Dame-des-Landes against a massive airport project that was finally cancelled after decades. Only to see the post-capitalist commune, and laboratory for communal living, degrowth and commoning getting into heated battle against the police in a government-mandated move to clear the peaceful settlers from the land. One of our grantees, Partager C’est Sympa was there on the scene documenting these occurrences in real-time, creating some video testimonials of what was taking place, for posterity at least. Another battle took place later on the year, in Hambacher Forst in Southwestern Germany, the oldest primeval forest in Europe, that was once again under threat from the energy giant RWE that was seeking to expand its open pit coal mines. The company got approval to clear out the activists living communally in the forest for several years now and to begin cutting, only to be stopped in the last minute by court order after considerable public outrage. Good news, but bittersweet, because the question remains, ‘for how long?’, companies have been known to play the war of attrition for many years, finally getting what they want due the vastly disproportionate amount of resources they hold for litigation, campaigning, bribery and the list goes on. 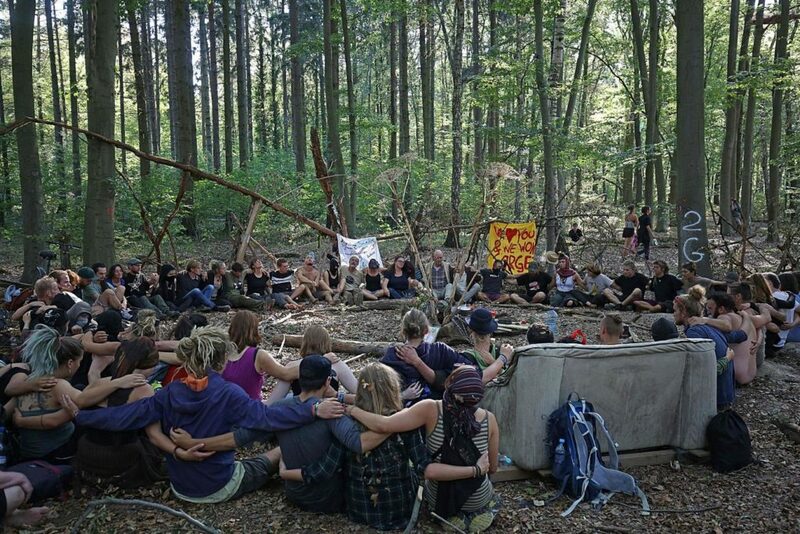 A peaceful meeting of the Hambacher Forst crew council. 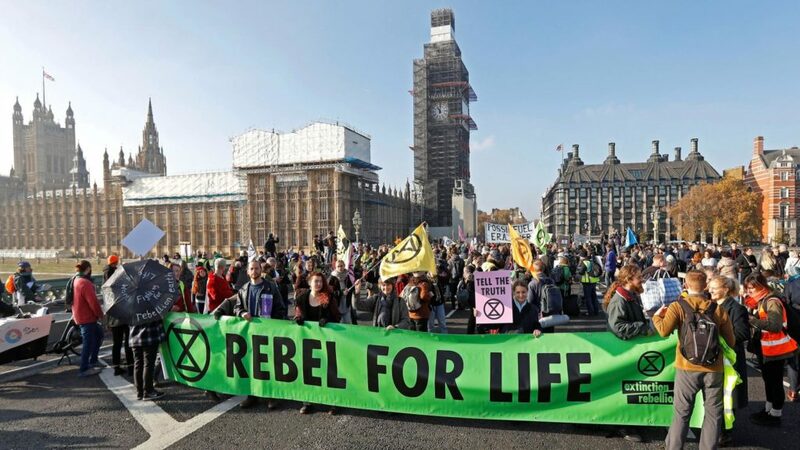 Most recently, we’ve been very inspired by one incredible group of people, activists to the bone, unleashing from London, Extinction Rebellion, a bold, direct-action oriented movement for climate justice, that has now been rippling around the world. They have announced that “we are facing an unprecedented global emergency. The government has failed to protect us. To survive, it’s going to take everything we’ve got”, and we are proud to call them friends, and be their allies on this journey. They are one of the 10 grantees from our latest closed call, that also includes groups: prototyping participatory grant-making, bringing radical municipalism to the Balkans, spotlighting the importance of feminism in Greece and building the leadership of non-binary trans and cis-women of colour in social justice movements across Europe (amongst many others, not forgetting our fab springtime grantees). Our Founder, Toni, has been on a mission to mobilise more of his peers, and young people with wealth to become energized activism-resourcers. He laid out some of his thinking about how to become a progressive philanthropist in this piece at the start of the year and has since been collaborating with the EDGE Funder’s Alliance on a project that asks ‘How Young People with Wealth or Class Privilege in Europe can make a Difference? Meanwhile this year saw us testing the waters with new activism & progressive philanthropy related narrative building. 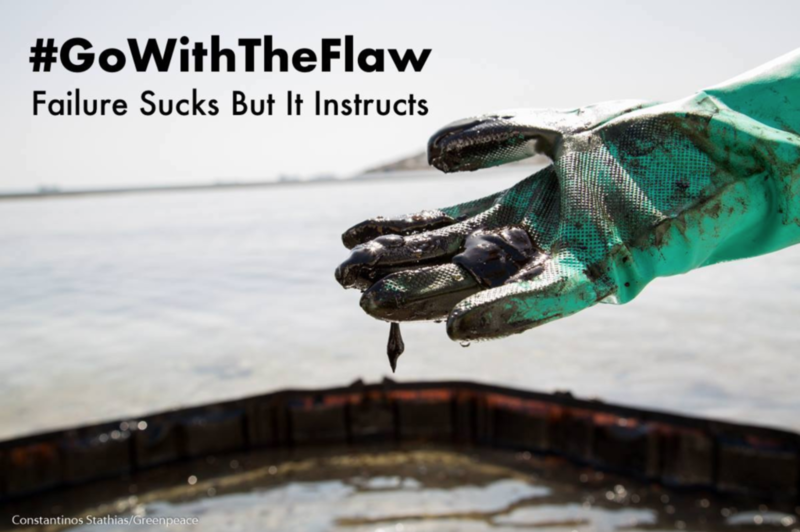 We started, ‘Go With The Flaw’, an in-house, storytelling initiative, that combats the prevailing narrative of error-shaming in public and states that ‘it’s perfectly okay to screw up, just try to learn from it’. In times of filtering and hyperpolishing, we consume too many airbrushed fictions of unattainable goals while concealing any weakness and vulnerability, so this article series aspires to grant-making honesty – warts and all. We also partnered with the digital hub, tbd*, in order to launch the Adventures in Activism‘ column that “let’s you in on who the coolest cats of today’s rebel alliance are, why grassroots movements matter more than ever, and what radical systemic re-envisioning is being done by badass activists around the world”. This has been a journey of seeing what type of original, activism-themed content people respond to and how to best articulate concepts around campaigning and movement-building. 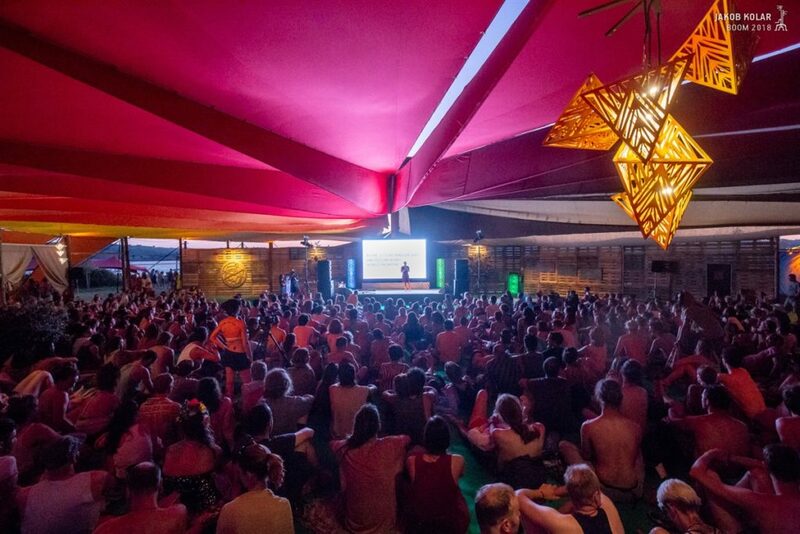 Furthermore, I got the chance to run a couple of workshops at Boom Festival in Portugal this year. The badass cultural change space, Liminal Village proclaimed ‘Holistic Activism’ as this year’s theme and it was indescribably heartwarming to see so many different people converge under the sunbaked tents to listen, speak, share stories and ideas about ways in which we can come together as a united planetary community. Phenomenal folks mingled with even more phenomenal folks, truly deepening the purpose of festival culture and dreaming up what can be done when uniting forces, while standing deeply rooted in practice, in direct action, in involvement with real, tangible communities and struggles around the world. Julia, Paolo, Steph (left to right) – the fab new guerrilleros! Last but not least, none of this would be possible without mad, dedicated, wonderful human beings that support the Guerrilla mission. This year saw our intrepid Managing Director, Romy Kraemer, go on maternity leave to bring a beautiful, new little activist into the world (which inspired this piece). While her activist spirit, still prevents her from completely disconnecting and unwinding, her interim replacement Julia Gajewski has slipped into those immense shoes with absolute grace, passion and commitment. This year we also formalized some advisory relationships, with veteran activist extraordinaire, Stephanie Danielle-Roth and young impact investor Paolo Fresia joining our Advisory Board and brining with them fierce skills, insights and a thirst for finding ways to creatively support activism across Europe. All three are already indispensable to us. Here’s to a gutsy, great, Guerrilla New Year!